Stock photo of the old City Hall building as seen from outside the new City Hall building at sunset in downtown Toronto, Ontario, Canada. 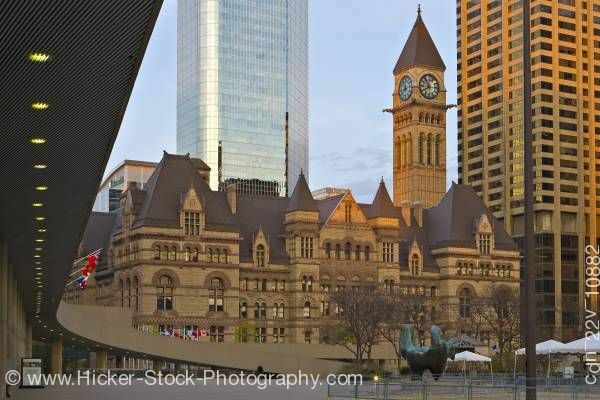 This stock photo shows the old City Hall building as seen from outside the new City Hall in the Nathan Phillips Square at sunset in downtown Toronto, Ontario, Canada. The edifice of old City Hall with its clock tower stand in shadow in front of a silver skyscraper reflecting sunlight against a pale blue sky.